With the Cavaliers going nowhere this season and the trade deadline getting closer, fans of the team are still wondering who might get moved from this current roster as the team looks ahead to the draft. With Kevin Love finally back on the practice floor, there’s been chatter he might be moved, but it appears now he’s going to stick around at least through the season. Two players though that might be on the move for Cleveland include forward/guard Rodney Hood, and shooting guard Alec Burks. Sam Amico of Amicohoops.net today spoke about the Cavs looking to possibly move those two players as they get interest from other teams looking to bolster their roster for the postseason. 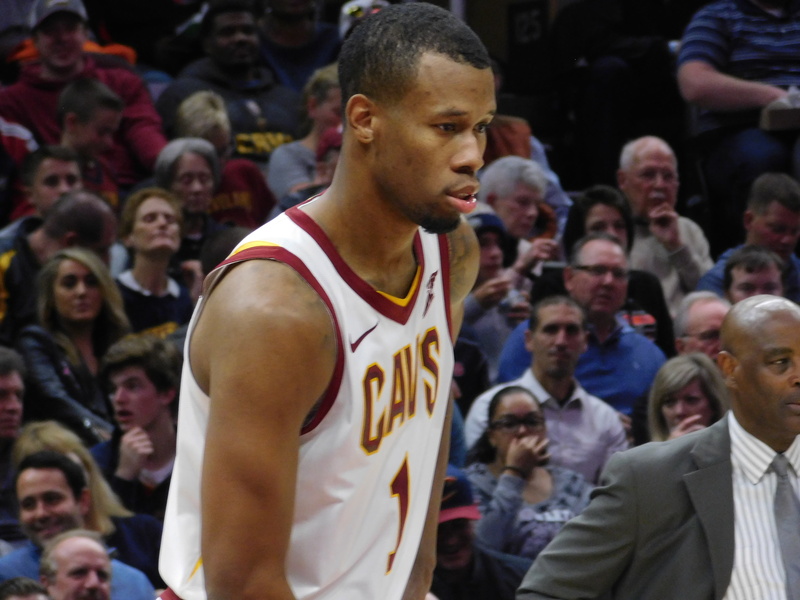 Meanwhile, the Cavs are doing their due diligence when it comes to taking and making trade calls, with swingman Rodney Hood clearly drawing the most interest. Shooting guard Alec Burks and his expiring deal are also on the radar of opposing teams. Hood has a no-trade clause on the one-year, $3.4 million qualifying offer he signed with the Cavaliers before the season, but it’s not stopping teams like New Orleans, Oklahoma City and Milwaukee from making calls to the Cavs about him. Burks is averaging 8.4 points, 1.6 rebounds, and 1.2 assists in 15.8 minutes per game this season, and reports say the Spurs are one team that has an interest in acquiring his services. Expect the Cavs to do something by the deadline, and at this point getting picks and money is the teams biggest agenda at this point.